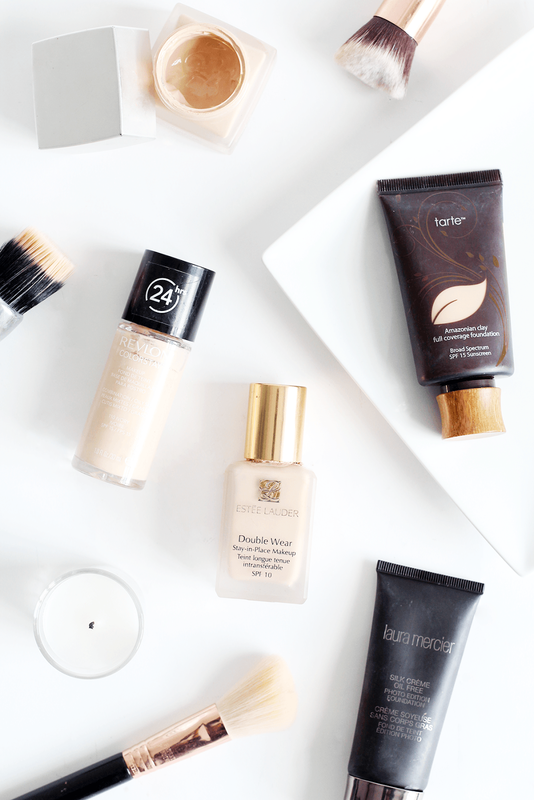 The other day I wrote about my five favourite full coverage concealers, so thought I’d have look through and share my favourite foundations to match. I tend to go for full coverage, as my skin is pretty awful right now (has it ever been good?) so anything that covers blemishes and evens out skin well is a good in my books! My holy grail has to be Estee Lauder Double Wear. I’ll not go into this too much as I’ve raved about it on at least 10 separate blogging occasions, but there’s nothing better at covering everything than this foundation. It makes skin look so even and the satin finish means it doesn’t look flat, either. I’ll probably forever repurchase this one! Another great one, though slightly harder to get hold of in the UK, is the Tarte Amazonian Clay Full Coverage Foundation. It does what it says on the tin, offering a great level of coverage which doesn’t look thick or heavy. I find this one blends amazingly and lasts all day! If you’re after a drugstore option, the Revlon ColourStay Foundation is an amazing choice. Reasonably priced and, although not as amazing as EL DW as it’s often duped for, it definitely offers fantastic, long lasting coverage. A great pick if you’re wanting to branch out into heavier (coverage wise) foundations. Now, if you find your foundation goes patchy after a while, try the wonderful RMK Creamy Foundation. As the name suggests, it has a creamy formula that really blends into skin and, to me, seems to be much more hydrating than the others. It works for both dry and combination skin, so don’t let the title put you off if you’re more on the oily side! It’s a truly amazing foundation, my second favourite after EL. Finally, a newer purchase and one I raved about recently, the Laura Mercier Oil Free Silk Creme Foundation is one that gets my vote. It feels very light on application, but blends like a dream and really covers all imperfections I really like how non-heavy this is and it seems to last all day too! Winner. What foundation do you use when you want a bit more coverage? Make sure you enter my USA beauty giveaway too!